Boat insurance can be confusing. 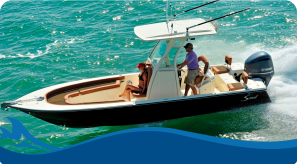 Boats may be insured for various coverage – in various ways – with various companies. Boat owners need to take the time to question and understand the insurance they are purchasing. In most cases, boat values (even small boats) are in the thousands of dollars. A few dollars saved on an insurance policy could jeopardize needed coverage. If your agent cannot thoroughly explain the coverage, ask to speak to a company representative who can interpret the small print. Boat owners should be aware of several aspects of boat policy coverage. Most, if not all, policies state, “It is the responsibility of the owner to immediately take all necessary action to protect the property from further damage when his boat is in peril.” I have encountered insurance companies that would not cover the expense of recovery of a vessel because the vessel itself was not damaged. The insurance companies did not consider the fact that had the owner not taken protective action the vessel could have been a total loss. A service often questioned is removal from grounding. Some companies refer to removal from a hard grounding as towing. Towing could actually severely damage a grounded vessel. Others interpret, as they should, a hard grounding as salvage. To avoid further damage, special action is required. In most cases of wreck removal, a vessel owner is held responsible for the removal of a wreck or any debris. Some insurance companies pay all the cost of wreck removal; others do not cover wreck removal at all. Some may pay off a total loss claim on the boat but leave an owner responsible for the removal or any further liability caused by a wreck. If a wreck breaks up and its debris floats in the path of another vessel, causing damage to that vessel, liability can be extreme. In recent years, towing coverage has been added to most policies (usually to the nearest harbor). 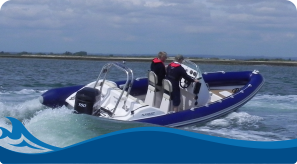 You need to carefully check your policy, however, because some companies offer no coverage for towing, especially for small boats. Towing coverage is important, because the Coast Guard no longer offers assistance towing if there is no danger to lives or property. The cost of towing by a commercial tower averages $100 to $150 per hour from the time the tow gets under way until the tow boat returns to its dock (port to port). Marine insurance coverage involves many other variables. Only too often, the insured has no idea what coverage they have until a claim occurs and it’s too late to change. Insurance coverage is not an item you should skimp on. Pennies saved on a cheap policy could cost you your boat if you encounter a major claim. In addition, you could be left with a big bill to add to your problems. If you own a high-priced vessel, even though it’s only a runabout, it would be wiser to purchase a yacht policy. Avoid adding it to your homeowners insurance. Hull Coverage: Agreed Value vs. Actual Cash Value (AV vs. ACV). 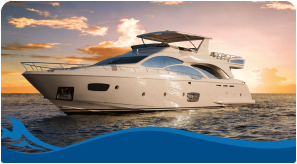 Fair market is the “Agreed Value” that the Boat insurance companies and you agree on. If you suffer hull loss, your payout is the agreed value without deduction for depreciation. Actual Cash Value will factor in depreciation at the time of loss before the payout so you will receive much less. Protection & Indemnity (P-I) vs. Watercraft Liability: Protection and indemnity is the broadest coverage. It covers your hired crew, wreckage removal, and negligence – if your boat is unseaworthy, bodily injury and property damage. Coverage is from $100,000 to $1 million and even higher. Watercraft only covers bodily injury and property damage. All Risk vs. Specified Perils: Unless it is specifically excluded on the policy, all risk coverage provides coverage for any loss. Only specific losses listed on the policy are covered with Specified Perils. Navigation Limits: if you have a loss outside of the stated navigational limits on your policy your insurance coverage could be invalid. Figure out where you want to go and include it in your navigation limits coverage. Deductible: Higher deductibles mean lower annual Boat insurance premiums. Consider Lower deductibles only for electronics, personal property, and tenders. Lay-Up Periods: If you’re a part time sailor, include longer lay-ups. This will lower your Boat insurance premium. Other Coverage in a Boat insurance policy may include medical payments, personal effects, uninsured boater, and towing. Credits can also be given for completion of a boating safety course and of course, having safety equipment onboard your vessel. Many boaters spend a lot of money on a boat, then they buy the cheapest insurance they can find thinking they won’t need it. They may feel secure, because they are well schooled on safe boating and proper navigation, but the unforeseen can happen and good insurance provides peace of mind as you enjoy your watercraft.